Large-volume scrap metal recycling in pre-wired, modular sections for installation in weeks. Complete, large-volume scrap removal systems for volume reduction, fluid separation, weighed transferring and load-out in automotive/transportation, aerospace, defense, heavy-industrial, and large tiered-supplier operations. Modular sections are skid-mounted, pre-wired, and designed specifically to simplify the installation process- allowing for maximum metal scrap processing within weeks. 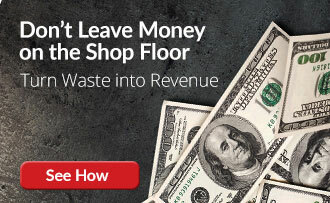 The modular chip processing system allows production to operate in safer work areas by reducing the volume of metal scrap which requires less storage space prior to recycling. 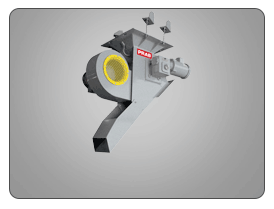 PRAB’s modular system reduces installation time and costs and provides portability and flexibility to meet changing plant requirements. Large-volume scrap collection and chip processing systems traditionally have taken months to install. Equipment comes in random order, floor layout takes time and labor resources, and electrical wiring and controls need to be installed and programmed. PRAB helps manufacturers overcome these installation delays by engineering and manufacturing full production scale, pre-assembled, modular scrap collection and metal recycling systems. 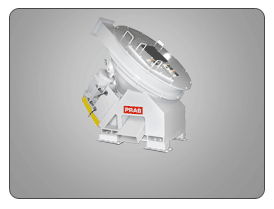 All PRAB modular chip processing systems are engineered to meet the specific capacity needs of each individual facility and are fully automated to process metal scrap for recycling, collecting fluids for reuse, and weighing material for efficient container loading. 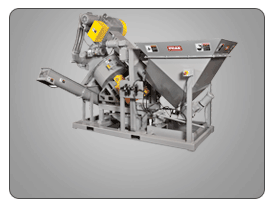 Each of the 4 modular sections within the complete system are skid-mounted and pre-wired for quick installation, allowing for maximum metal scrap collection and processing within weeks. 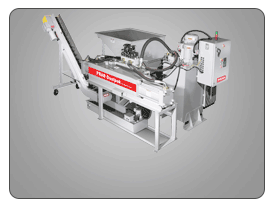 Each of the 4 modular sections within the complete modular chip processing system are skid-mounted and pre-wired for quick installation, allowing for maximum metal scrap processing within weeks. Sections include scrap metal separation and process, fluid separation and collection, weighed dry scrap transfer, and drag conveyor load-out.